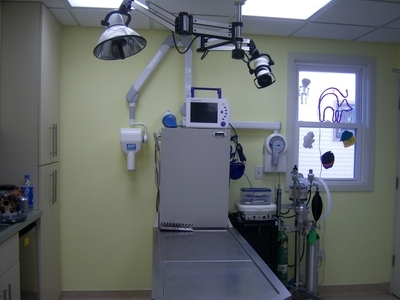 We have a state of the art wet/dry lift table to perform dental procedures. 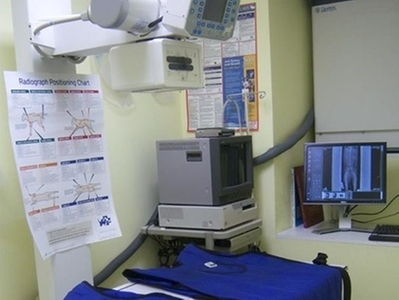 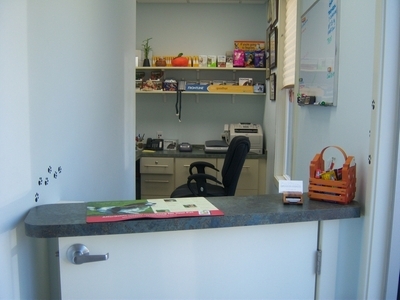 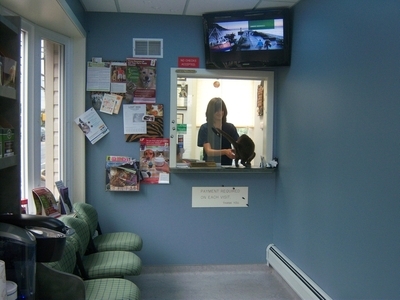 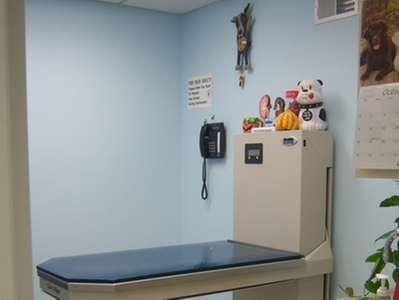 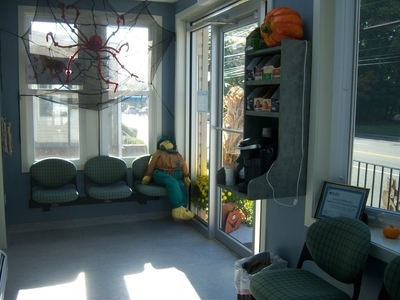 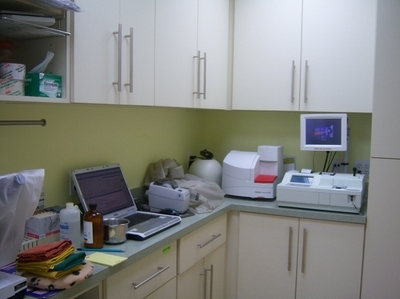 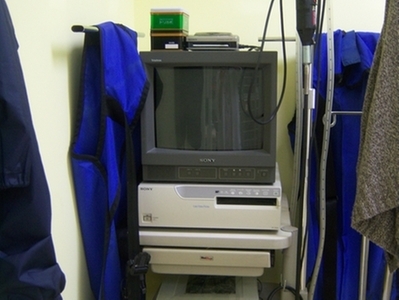 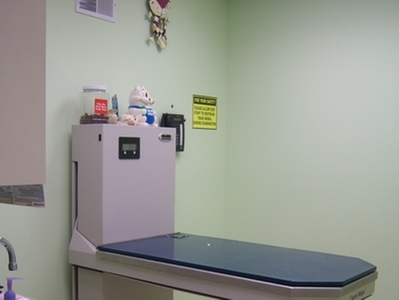 You will see on the back wall that we have a dental x-ray machine and a monitor that allows us to measure heart rate and blood pressures while your pet is under anesthesia. 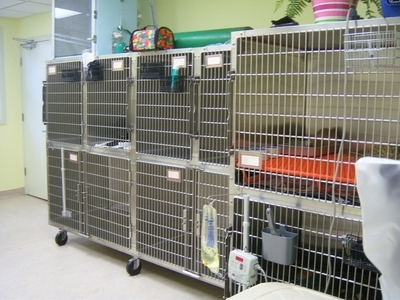 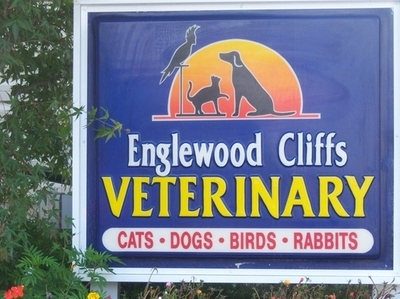 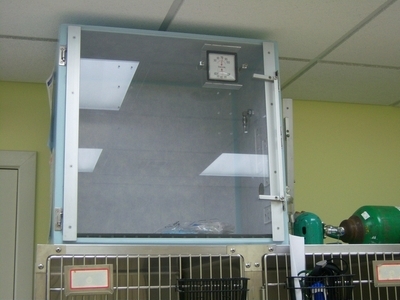 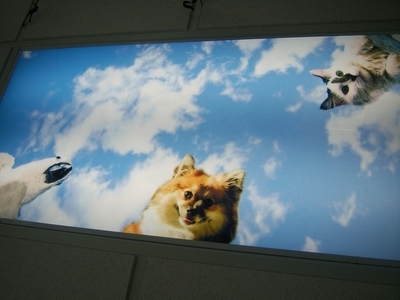 We use gas anesthesia which is safe and creates minimal changes to your pet's heart and lungs.